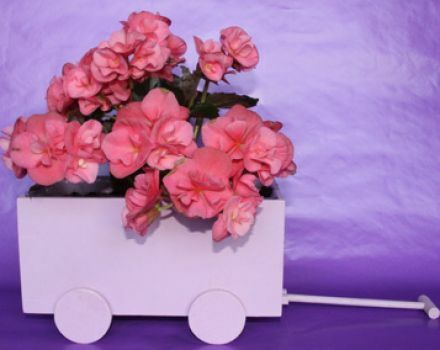 1 begonia bulb, window box planter (with drainage hole), decorative paper, potting soil. Fill the planter with soil till 1" (2.5 cms) below the rim. Press the begonia bulb in soil, flat side down, hollow side up. Cut a piece of decorative paper or gift wrap to cover top of planter. Add a Mom's Garden tag. Once ready to grow, remove paper and moisten the soil around the bulb. Place in a sunny location outside. Water throughout growing season (avoid getting water in the hollow part of the bulb or it could start to rot).